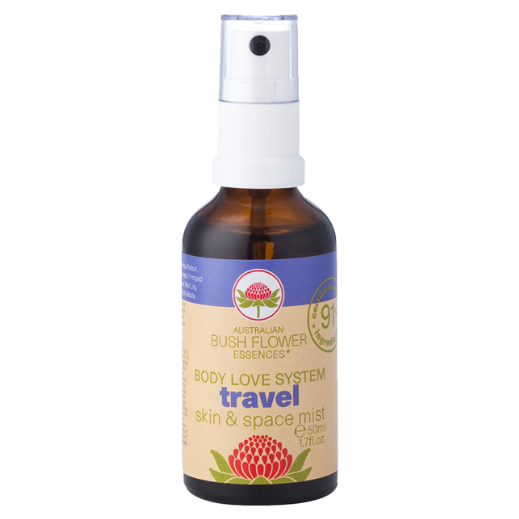 Not only an excellent companion to Travel Essence Moisturiser, but a therapeutic spritz for travelling. Assists with recovery of jetlag and the feeling of being drained, depleted or disorientated. Gently mist your face and body, or apply a small amount into the palm of your hand and apply to skin using two fingers pressing gently and evenly. Contains the following Essences: Banksia Robur, Bottlebrush, Bush Fuchsia, Bush Iris, Crowea, Fringed Violet, Macrocarpa, Mulla Mulla, Paw Paw, Red Lily, She Oak, Silver Princess, Sundew, Tall Mulla Mulla..